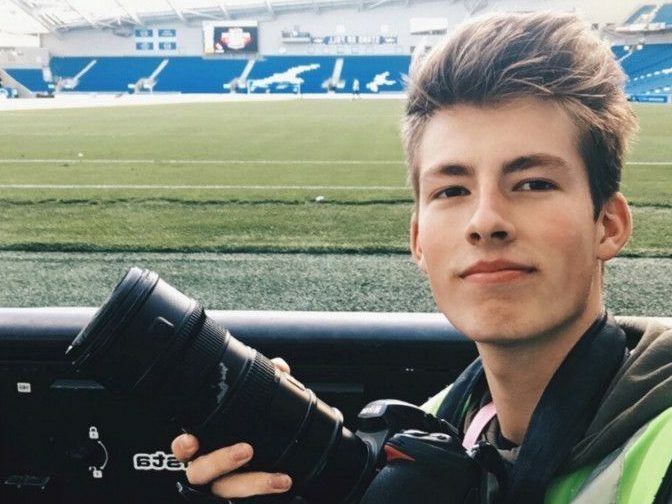 A young photographer has become the latest victim in a string of camera equipment thefts from sports grounds across the UK. Micah Crook, a freelance for photo agency Pinnacle, had more than £10,000 worth of kit stolen at an FA cup match at Craven Cottage, home of Fulham FC, on 6 January. He said the theft has already resulted in him missing out on photographing his team, AFC Wimbledon, at Wembley and that it could result in him pulling out of photographing April’s Commonwealth Games in Australia. The 22-year-old has since started a fundraising page to help try and recoup his losses, raising more than £6,400 of his £8,000 goal so far. Since the age of 15, Crook has worked on a fruit stall to save enough money to buy photography equipment, which can costs thousands, and has now returned to the stall to try and save some money to restart his career. 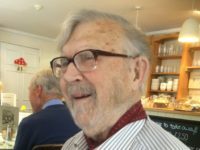 He told Press Gazette: “I felt embarrassed that I had to ask people, but I couldn’t raise that kind of money. Slowly I’ve become less embarrassed and more proud. Crook’s misfortune is one of many in a long line of thefts in sports grounds across the UK, with reports from football, rugby, cricket and boxing venues surfacing. “Old grounds don’t have the facilities and security that some of the new grounds do,” said Crook. A spokesperson for Fulham FC said: “A theft of photographic equipment occurred prior to the Club’s fixture against Southampton earlier this month which is being investigated by the Club internally and by the authorities. Other photographers have also spoken about the problem. Freelance lensman Matt Wilkinson had more than £10,000 worth of photographic gear stolen in December while he worked at a Huddersfield Town match. “The club have absolved themselves of any responsibility by saying that it is a matter for the management company of the stadium, as [the club] are simply tenants of the property. Tim Dale, security manager at Kirklees Stadium Development, the management company for Huddersfield Town’s stadium, said the security team deny refusing access to CCTV footage and maintain that “every effort” was made to recover the stolen items. Janine Self, co-chair of the Sports Journalists’ Association (SJA), said she first heard about the thefts through journalists on Twitter. “It was disturbing to hear that so many photographers, most of whom are SJA members, have been the victims of theft in recent weeks and months and it’s something we will be discussing in depth at our next committee meeting,” she said. “What happened to Micah Crook was particularly unfortunate. The way that the industry has flocked to help him is heart-warming after what must have been a weekend of mental turmoil for the youngster. Self has urged photographers who have suffered equipment thefts at sports grounds to get in touch, either via the SJA’s Twitter feed or by contacting the organisation directly. Affected photographers can also contact freelance photographer Richard Washbrooke who is compiling a database of all recent incidents of camera equipment theft. He hopes highlighting the issue will force sports venues to consider the needs of photographers. To contact him email richard@washbrooke.com. Having worked for fifty years as an NUJ Freelance photographer supplying Daily and Weekly newspapers in the West of Scotland I find it unbelievable that photographers think it is safe to leave their equipment lying about at venues where there are thousands of people. If it were £10,000 in hard cash would they leave it lying behind while they were at an other part of the stadium taking pictures. Yes I have seen it happen over the years mainly by staffers who get their equipment supplied but freelancers like myself who had to buy and insure their own equipment tend to carry it around heavy as it may be. No mention of insurance – I have been taking pics since school, at fifteen and always made sure I am insured, one way or another. Surely it is de riguer for professionals? !